Campgrounds As Low As $10.00 A Day...Across The USA...Everyday! 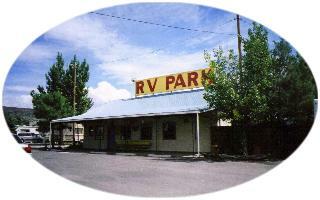 DESCRIPTION: Located 80 miles West of Albuquerque, Blue Spruce RV Park is directly off Interstate 40 for easy access. A golf course is located nearby as well as such area attractions as Acoma Sky City, the oldest village in the United States, Blue Water Lake, and a Mining Museum. Wal Mart is 4 miles from the park, with shopping and restaurants closeby. AMENITIES: Laundry, Restrooms and Showers, City Water, Curios, Snacks, Cable TV, Modem Hookup, Gravel Sites. DIRECTIONS: From I-40 Exit #81, and turn South. 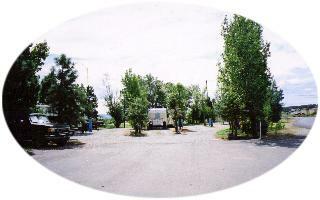 Campground can be seen from interstate. Recreation USA Members will pay $12.75 each night, and have an unlimited length of stay. $2.00 addl for 50 amp, and $2.00 for each guest over two.